Gout is a common disease which has a worldwide distribution. Gout has ever been King’s disease or rich man’s disease before; however; now it occurs in both the poor and the rich – men as well as women. Gout causes a lot of difficulties for patients in their daily activities. 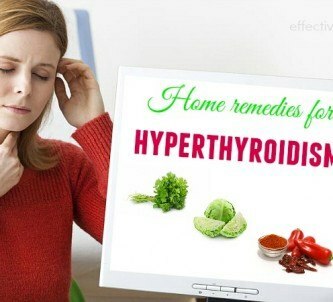 Nevertheless, you do not worry about this because there are various methods to treat this disease and even you can prevent it by yourself at home by natural ways. 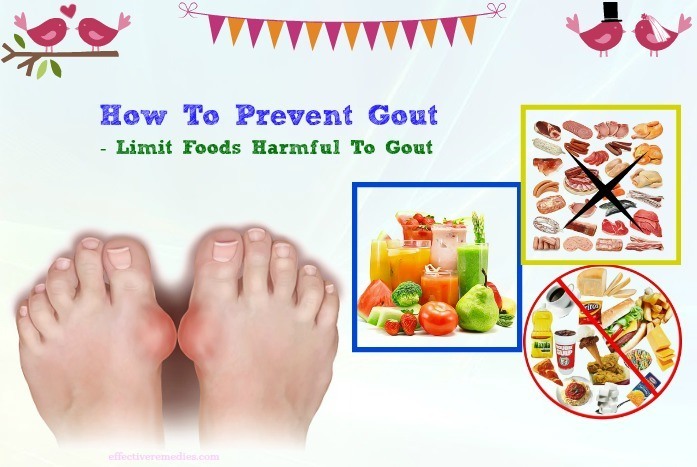 Continue reading this article of top 11 tips on how to prevent gout flares from getting worse naturally at home on Effective Remedies to understand more about gout, explore effective methods to prevent gout, and find out one suitable solution for yourself. Gout is a form of arthritis. It occurs when a buildup of uric acid in blood happens. Uric acid which is a waste product resulting from normal body processes dissolves in the blood. The National Institute of Arthritis and Musculoskeletal and Skin Diseases (NIAMS) have said that uric acid goes by through the kidneys and goes out of the body by urine . 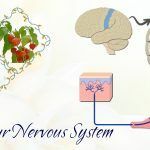 However, when producing uric acid in the body is at a high level, or even uric acid cannot be removed fast enough by the kidneys, high levels of uric acid might form crystals in joints, which causes gout. 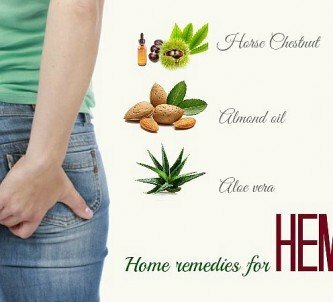 According to Eric Ruderman – a professor at Northwestern University Feinberg School of Medicine, if you are taking a medication that contributes to increasing the level of uric acid in your bloodstream or your family has a history about high levels of uric acid, the risk of getting gout is quite high. The most common place where gout easily occurs is big toe. The pain caused by gout can last about ten days or more and the most painful time is the first 36 hours. 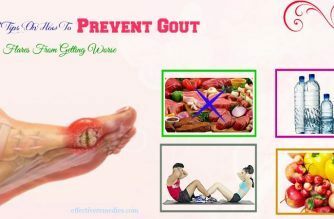 Gout first affects only one joint, but if the treatment for people who get gout does not happen immediately, gout will occur at other parts of the body such as knee, ankle, foot, hand, wrist, and elbow. Severe pain in a joint, usually occurring at midnight or in the early morning. Tenderness or sensitivity in the joint, which can also be warm to the touch and look red or purple. 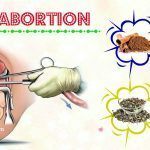 Especially, if gout has not been treated timely; the crystals under the skin around the joint can cause lumps, which are called tophi. Although patients do not feel hurt because of them, these lumps still affect the way how the joint looks. Moreover, you may experience kidney stones when the crystals accumulate in the urinary tract. As we know, gout occurs when uric acid in the blood which forms the number of salt crystals in joints is at a high level. However, you can remove uric acid from the body by drinking liquids, which is an effective way to limit the chance of gout attacks. One of the most effective fluids we can easily apply is water. Doctors recommend that people should drink at least 8 cups which is equal to 1.9 liters. Additionally, people can use 100% fruit juice instead of water for their whole day. Potassium is considered a beneficial substance which helps prevent gout attacks. According to researchers, potassium aids uric acid to pass through people’s system, which plays an important role in preventing gout. 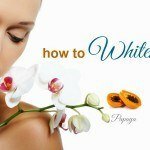 There are various foods including this substance such as dried peaches, lima beans, cantaloupe, baked potatoes with skin and cooked spinach. 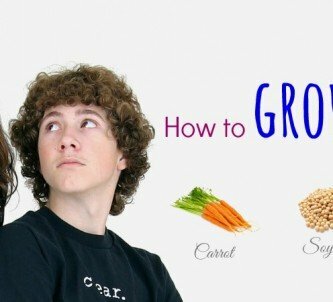 These vegetables and fruits are usually sold at the supermarket or market so people can easily buy and cook these mentioned foods at home. If people do not want to eat these foods, they can try taking potassium supplement instead or ask for doctors’ or nutritionists’ help. Vitamin C supplements are an effective way to reduce the risk of gout. Scientists suggest that people should take a lot of vitamin C every day, especially between 1500 and 2000 mg per day. Vitamin C is highly concentrated in citrus fruits such as oranges and lemons. Instead of eating these fruits, some people who are suffering from gout attacks even add lemonade to water to drink. Besides citrus fruits with high vitamin C supplements, there are also many other kinds of fruits which are beneficial to gout prevention. Cherries and apples are two typical examples of this way. Cherries include a high level of anthocyanin which helps reduce the inflammation caused by gout. Eating cherries or drinking cherry juice is proven to be an effective way to prevent gout on the worldwide. Apples contain the natural malic acid that helps neutralize the uric acid. Also, others fruits such as bananas, blueberries, and strawberries are considered beneficial to dealing with excess uric acid in the body. Fat, especially saturated fat, can lead to more severe gout attack. That people are overweight gives a chance to produce a lot of insulin. High levels of insulin in the body restrain uric acid from being eliminated by the kidney, which causes gout attacks. 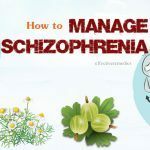 Therefore people should find out suitable ways to reduce this condition. For example, you can eat baked chicken instead of fried one which includes a high level of cholesterol – a factor of obesity. According to scientists, doing exercise makes the body perspire (or sweat). Sweating is very essential because it aids the body to get rid of high levels of uric acid. Additionally, thanks to regular exercises, the joints will become stronger and stronger, which helps them be protected from being harmed. The doctors suggest that people should do exercise at least 5 times a week and about 30 minutes per time. There is a variety of exercises you can do such as walking, swimming, cycling and gardening. One important notice is that you should not push yourselves strictly because it can make you injured. Instead, you should do exercises comfortably and increase the speed of exercising gradually. Tight clothing makes gout become more serious. Therefore, you should wear comfortable clothes. For instance, the big toe is a part where gout usually occurs. If you wear tight or unfitting socks, it can make you feel uncomfortable and your swollen big toes can become more painful. 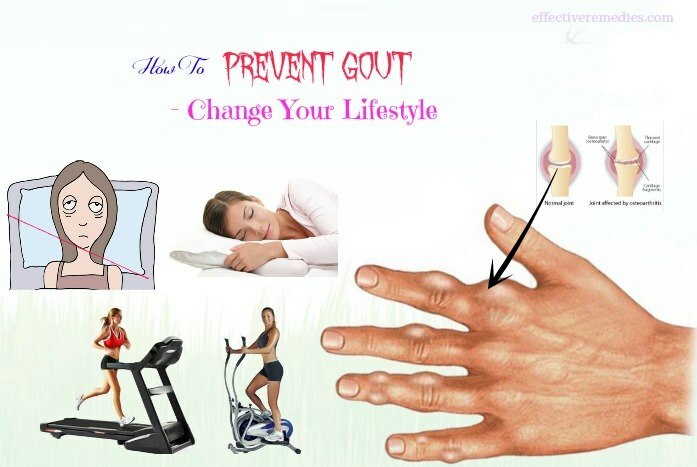 Increasing the production of uric acid – the cause of gout is said to relate to stress. It is easy to decrease this by relaxing more. Moreover, you can apply light exercises such as yoga, meditation and breathing control. Quality of sleep is extremely important to your health. Good sleep can help protect your body from the risk of abdominal fat deposits and defend your immune system. The National Sleep Foundation said that young adults should sleep for 7 to 9 hours each night. 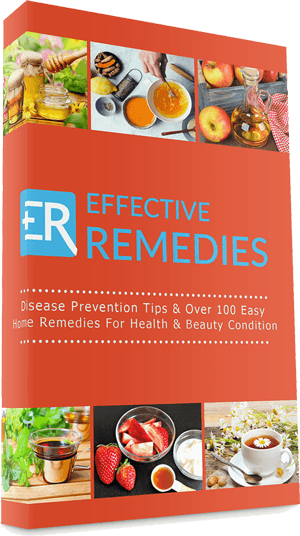 If these mentioned methods do not help your gout become better than before, you should come and ask doctors for help. 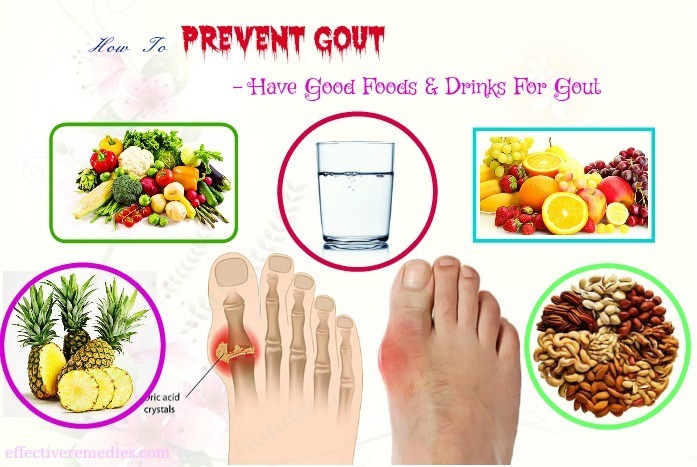 Doctors will prescribe medicines which are suitable for your present condition and give you more instruction to prevent gout. Furthermore, you should ask doctors about lead poisoning. Researchers show that lead poisoning, even at a very low level, also causes gout attacks regardless of other problems. Therefore, it is very necessary to test toxins in your blood if you are living at the place where is near the industrial settings or you are working with lead-based things. 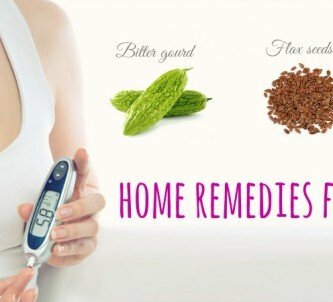 Above are top four main effective ways on how to prevent gout flares from getting worse naturally at home that you should try.  If you want to learn more about the natural treatments for other health condition, please visit our Prevention page. Do not forget to leave your comments in the form below to show us your thoughts.